Call today to rent portable toilets! Every special event needs catering, music, entertainment and most of all, portable toilets. Whether you’re throwing a party, hosting an event or need a Port A John for your construction site, Johnny On The Spot can help you out here in Destin, FL. On top of that, they also provide dumpster service for an easier and less time consuming clean-up. Johnny on the Spot is the company that Destin, FL and the rest of Okaloosa and Walton Counties turn to when they need portable toilets they can rely on. Their clients include contractors who need a Port a John or two for their job sites to event planners who need to make sure that their guests can go when they need to go. Give them a call today and describe your event. They're sure to be able to give you an estimate on what kind of needs you might have. They also provide RV pumping and holding tank rentals. If you're planning an event, call Johnny on the Spot right away. They have all kinds of products and services than can help to make your event a runaway success. How many restrooms will I need? What type of terrain is the venue located in? Is there a water or electric supply? For more information about renting a Port A John, visit their website. There you will find rates, assistance options and a list of services provided. The clean, sanitary and air-conditioned portable toilets really are what make them stand out from the others. From portable restrooms to dumpster rental, Johnny On The Spot properly maintains and take care of all rental products for full customer satisfaction. Don't get caught without a proper waste removal plan when you're planning your event. It's typically not the first thing that people exciting about the planning process think about, but it's vital to get squared away. Do the smart thing: call Johnny On The Spot for dumpster service. We'll provide a dumpster that's the right size for your event at a price you can afford. Your guests will load it up. And we'll take it away. When you work with Johnny On The Spot, it really is that easy. We have dumpsters available in various sizes to meet your needs. Whether you are hosting an event or need dumpsters for your construction or landscaping project, we have you covered. Even if you require dumpster service for a home clean-out, you can rest assured that Johnny On The Spot is here to help you. 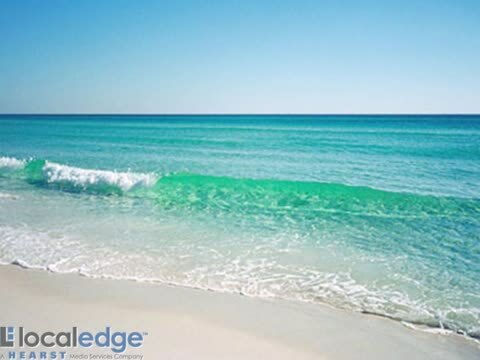 We serve residential and commercial clients in Destin, FL and the surrounding areas. Our dumpster service is affordable. If you have more questions, be sure to contact our team. We are among the best in the business when it comes to dumpster service. No matter what your project entails, we can handle it. We rent dumpsters for home clean-outs, yard clean-ups, construction, demolition, remodeling, roofing jobs projects, foreclosed home clean-outs, and more. We have been serving the Destin, FL area for over 10 years, and have truly simplified the process. It does not get any easier when you need dumpster service from Johnny On The Spot. Johnny On The Spot can help you each and every step of the way, from configuring the amount of portable toilets you will need to figuring out where to place them in relevance to easier accessibility and level and dry location. When a permit is required for having a Port a John or a dumpster rental at your site or event, Johnny On The Spot can assist whenever possible. The professional team can also assist you with placement options, including where to place a Port A John. Must be within 25ft. of where a service truck can park after gaining access. Johnny On The Spot of Destin, FL, understands the importance of cleanliness and sanitation for each and every one of their products and services. Reduce the strain and wear on your septic tank with a Port A John and take time and frustration out of clean-up. Portable toilets and dumpster rental doesn’t get any easier or more affordable than this. Call the sanitation specialists today for your next event or construction project! Trust Johnny On The Spot for all of your waste removal needs. If you're planning an event, give us a call. From dumpster rental to portable toilets, we have what you need to make sure your waste situation is squared away. Call today for a great price on Port a John rental!